DAVID LE/Staff photo. 4/29/15. 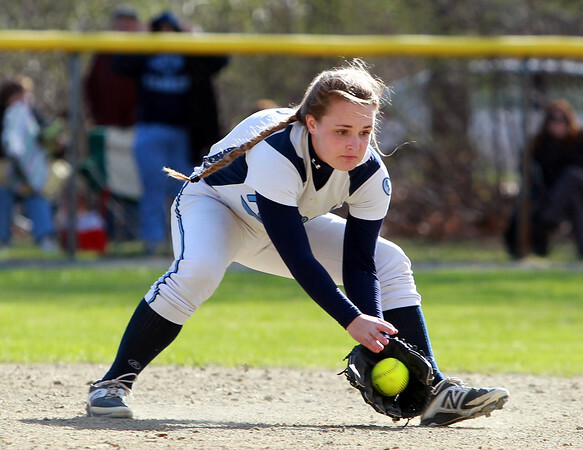 Peabody second baseman Ashley Jenkins fields a ground ball.